CANTON, MA (April 2, 2015) -- Dunkin’ Donuts has announced that beginning today, Dunkin’ K-Cup® pods will be available for sale online for the first time. As part of Dunkin’ Brands’ (NASDAQ: DNKN) expanded partnership with The J.M. Smucker Company (NYSE: SJM) and Keurig Green Mountain (NASDAQ: GMCR), announced in February, Dunkin' K-Cup® pods will be sold on www.DunkinDonuts.com. The 12-count box of Dunkin’ K-Cup® pods is available in five varieties, including Original Blend, Dark Roast, French Vanilla, Hazelnut, and Dunkin’ Decaf®. Dunkin' K-Cup® pods will also be available in select retail locations, www.OnlineStore.Smucker.com, www.Keurig.com and other online retailers beginning this summer. In February, Dunkin’ Brands, The J.M. Smucker Company and Keurig Green Mountain expanded their partnership by signing agreements for the manufacturing, marketing, distribution and sale of Dunkin' K-Cup® pods at retailers nationwide in the U.S. and Canada, and online. 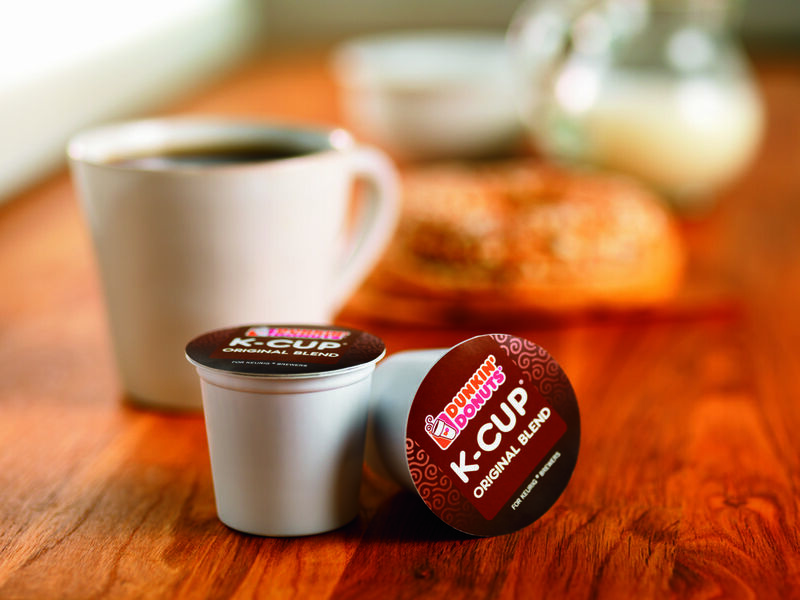 In addition to today’s launch of Dunkin’ K-Cup® pods online, under the new agreement, Smucker will distribute and market Dunkin' K-Cup® pods exclusively to grocery chains, mass merchandisers, club stores, drug stores, dollar stores and home improvement stores. Keurig Green Mountain will distribute and market Dunkin’ K-Cup® pods exclusively to specialty stores such as Bed Bath & Beyond, Kohl’s and Macy’s, as well as office supply retailers such as Staples and Office Depot beginning this summer. Keurig is the exclusive producer of Dunkin' K-Cup® pods and will remain so with the expansion of the partnership.